My mission it to create moments for memories that last a lifetime. We perform for small to large events. If you are looking for quality and professional DJ, you have come to the right place. We also tailor as per your event requirement and follow agenda as per your requirement and your need. 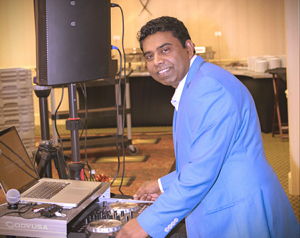 I play Original tracks as well as DJ tracks to make your event successful and joyful. Our mission it to create breathless moments for memories that last a lifetime. When you hire us you get customized, quality service. Speak with our service representative at Dj3Octaves and I will bring your dream event to life. I have a huge collection of Professional Bollywood Karaoke tracks.